7 Important Awards For Writing Every Writer Should Know - Writer's Relief, Inc. 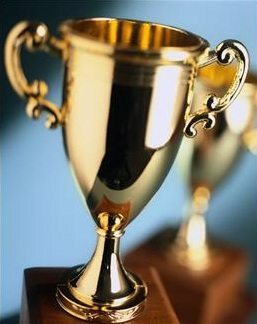 Writing contests and awards are an important factor in any author’s pursuit of a serious writing career. The fame and recognition that come along with winning awards for writing (not to mention the prize money) can be a serious boost to not only a writer’s career, but his or her self-esteem as well. Entering legitimate writing contests, big or small, is a great way to get your name out to the writing community and earn a few publication credits along the way. Writer’s Relief has scoured the Internet to compile a list of the most prestigious prizes and awards for writing that you can earn by entering the nation’s—and the world’s—top writing competitions. Pushcart Prize: Since 1976, Pushcart Press has been honoring authors published in small presses and including them in their world-famous anthology, The Pushcart Prize – Best of the Small Presses. Literary journal and magazine editors choose nominees from work that has been featured in their publications, whether the submission is a poetry or short story collection, poem, essay, or short story. There is no entry fee. Best Of The Net: Per their website, Sundress Publications’ Best of the Net Award “promote[s] the diverse and growing collection of voices that are publishing their works online.” To be considered, you must either be nominated by an online literary journal that features your work or nominate your own self-published work that was first published online. There is no entry fee, and all winners will be included in an e-anthology available on the Sundress Publications website. Pulitzer Prize: Winning a prestigious Pulitzer Prize takes more than just submitting your favorite poem and crossing your fingers: Beyond the $50.00 entry fee, your work must survive the scrutiny of five to seven judges accepting only the most distinguished pieces of American literature. There are several categories specifically for writers, including fiction, nonfiction, drama (playwriting), history, poetry, biography, and poetry. Winners receive a certificate for their achievement and $10,000 cash. Nobel Prize: In the words of Alfred Nobel, the Nobel Prize in Literature is only awarded to someone who has “produced in the field of literature the most outstanding work in an ideal direction.” Rather than judging a specific piece of literature, this award is given to those whose lives have been spent writing literature that has inspired readers of all ages and influenced the world in a positive way. You can only be nominated by other prestigious writers, professors, etc., but the prize is well worth the work: over $1,000,000 in U.S. currency. PEN/Faulkner Award For Fiction: There is no entry fee or application form for this award, but your work must already be published. The PEN/Faulkner Foundation accepts novels, novellas, and short story collections that have been published by commercial, academic, or small presses; no self-published work is accepted. Five submissions are awarded prizes, with first place receiving $15,000 and four runner-ups receiving $5,000. The Best American Series: First published as The Best American Short Stories in 1986, Houghton Mifflin Harcourt’s Best American series has since grown to accept essays, sports writing, travel writing, nature writing, and more. These annually-published collections compile the best short works of literature published in North America, offering a powerful publication credit and public recognition to any accepted author. You can either be nominated by one of their editors or submit your publication to them directly. Flannery O’Connor Award For Short Fiction: Since 1983, The University of Georgia Press has published more than fifty short story collections within its Flannery O’Connor Award series. You need only submit a manuscript to be considered, and the top prize is $1,000 and publication (two winners are generally selected). The entry fee is $25.00. Now that you have a substantial list of contests to which you can submit, get writing! No writer should ever feel discouraged when vying for a prestigious award, but if you feel your writing will fit more appropriately in a smaller competition, you can always visit our list of writing contests for more general submission opportunities. Remember to always thoroughly research a contest beforehand to avoid fake poetry contests and other fraudulent competitions. Visit our Writer’s Relief blog post, Six Question To Ask Yourself Before You Enter A Writing Contest, for a few tips on how to make sure entering the contest is well worth your precious time and energy. QUESTION: Have you ever won any awards for writing? What was the experience like? Please, inform me about your various writing programs. I’m a writer and I want to participate in various writing programs. Rosen, Unfortunately, we cannot accept work that is already published. I am Bulgarian writer living in Bulgaria. My question is: May I apply to You with my published novel in Bulgaria? won one by Fidelity bank in my country. Felt great. However two days afterwards, they said it was a mistake and withdrew it. it was crushing..
Congratulations, Alissa! Winning a writing award can be great for a writer’s career and self-esteem, and we’re glad to see yours put you on the path to success! I’ve won a few writing awards. My favorite was the Central PA Writing Award, a regional award. It was exciting reading my story aloud at the reception, and the prize money was nice. It really inspired me to focus more on my writing, and now with two books in print and a third on the way, I can say that it really had an impact on my career. Mike, sorry to hear about your experiences, but we’re happy you enjoyed the article. We’re doubly happy to see you were careful enough to check out the award guidelines in advance! We’ve got a great article on the subject—Six Questions To Ask Yourself Before You Enter A Writing Contest—so feel free to check it out! I’m going to keep these in view going forward. My experience with awards has been discouraging, though. A couple of them this year both ended with the online publication as the only perquisite that was fulfilled among a lot that included tickets to attend events. What I got told was that the”free tickets” were available to be picked up but I had to pay and accommodate my way from my country of abode. Penny wise, Pound foolish. I think platforms that advertise contests with benefits should follow up and ensure that the organisers fulfill their promises. Yes – I’ve won quite a few since I started writing in 1985. They are all listed on my website, and on my LinkedIn profile page. It was more important than now in those days. There are heaps of places you can get awards now, including Carver Magazine and Glimmertrain. This is the kind of apprenticehsip we used to serve, and I suppose it’s still very valid. Very helpful! This clears up a lot for me!